Today on the Datanauts: public clouds. 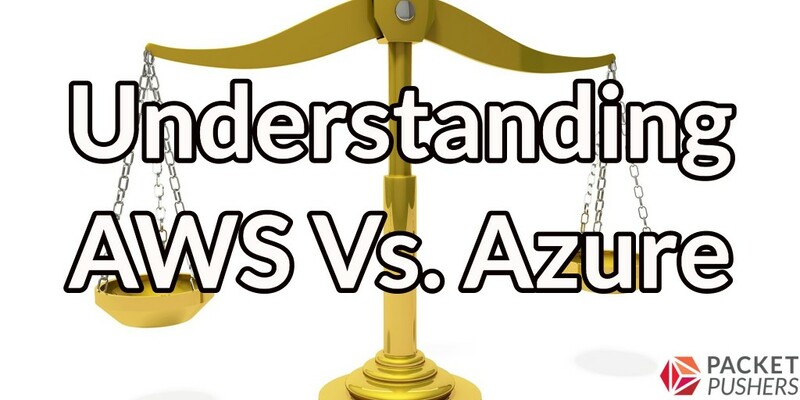 AWS and Azure are two of the most popular public cloud offerings, and we’ll look at how they compare. Our guest is Eric Shanks, a senior solutions architect at Ahead and founder of the blog The IT Hollow. We’ll look at how organizations decide which cloud service to adopt, the phobias around cloud lock-in, the application architecture decisions that have to be made when embracing the cloud, and myths about cloud savings. 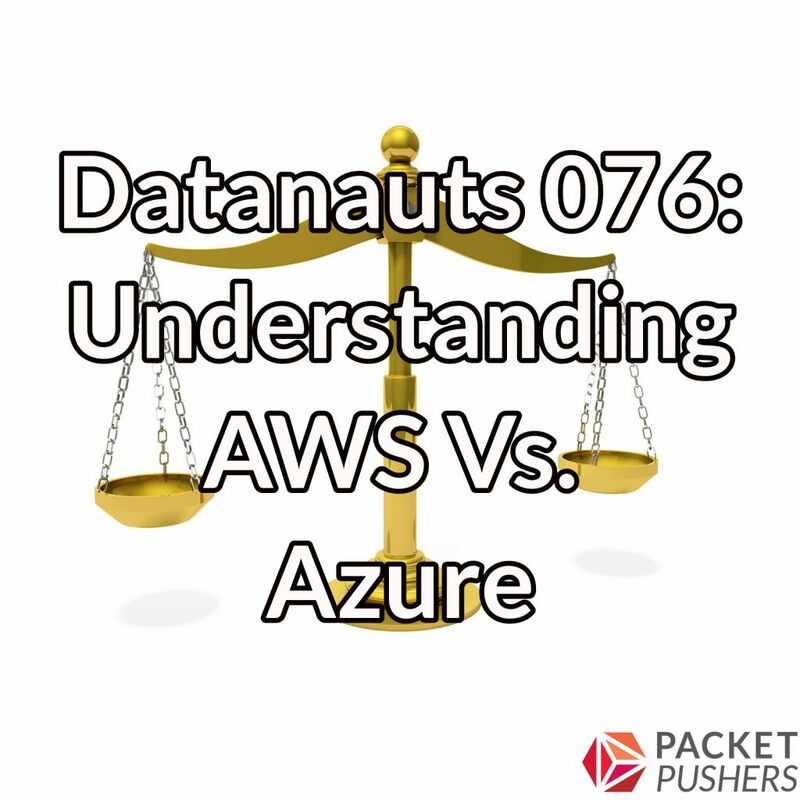 We also explore the differences between AWS and Azure around pricing and capability, and also discuss the importance of understanding the constraints that come with a cloud service regardless of the provider you choose. Last but not least we drill into workload mobility and the stickiness of storage, and whether orchestration tools may be the driver of true hybrid clouds. Another interesting show, with a useful discussion for people who aren’t necessarily business application developers of tradeoffs putting workloads at one vendor or another (or possibly, ugh, in multiple). I was surprised that it wasn’t until about 30:35 that the issue of data gravity came up. This is the killer reason that distributing a single app in multiple vendors is 99% of the time a bad idea. Just to expand a bit on the discussion, if you perform a transactional CRUD (Create, Read, Update, Delete) operation on data, even within a single vendor, the consistency model may mean the transaction state in all the places it’s stored is only eventually consistent. For example, AWS guarantees “immediate” read after write consistency for their S3 object store only for creates/PUTS of new objects. Overwrite PUTS and DELETES are eventually consistent with no guarantee of the transaction settling time. So, how would one architect a single app to have reasonable CRUD transactional behavior, especially CUD, across vendors? Oops. Same thinking goes into why bursting apps from on premises to a public IaaS on increased workload demand likely won’t work as desired. If someone knows where this is working reasonably well, please let me know. I was also surprised that the discussion didn’t include vendor topologies as a factor in preferring one over another. For instance, one of the big wins with public cloud is better business continuity. You can get a significantly reduced RTO/RPO as a almost no cost side effect of architecting to take advantage of multiple datacenters/availability zones/regions. Here AWS with its datacenters, within storage transaction sync distance of each other, within availability zones as well as Google with Spanner synced with TrueTime have the best stories. Anyway, a worthwhile show and you were right not to focus just on price, which is hard to compare anyway with the introduction of tech such as serverless.